We all breathe naturally, and yet when we exercise sometimes we forget to breathe. This can be counterproductive! 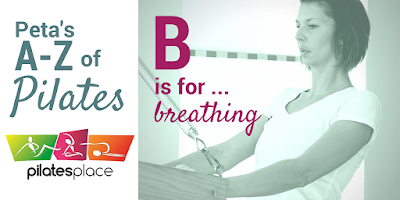 Pilates encourages you to inhale and exhale at the best points of each exercise. Breathing at the correct point of the exercise can make the movement you are performing flow with ease, providing oxygen to the muscles to move efficiently. But, the most important thing is not to hold your breath. Pilates teaches us to breathe so that the ribs move outwards on the inhalation, while keeping the shoulders down.